How I've been able to post nail polish hauls monthly is beyond me! I never think I've acquired as much Essie polish as I have until I go to round up all the polishes for these posts, and then I'm like.....woah. So here's what I've gotten my hands on this month! 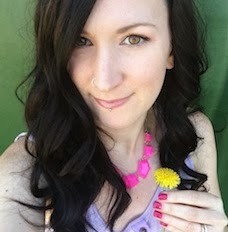 As soon as I swatched the Essie Summer 2015 Collection Peach Side Babe, I knew there were definitely some colours I wanted to order for my friend Bree. She picked up Resort Fling last year, hoping for a pretty peach polish, and like me was disappointed when it was a 4-coater dusty cantaloupe. I figured Peach Side Babe would hit the spot for her instead. 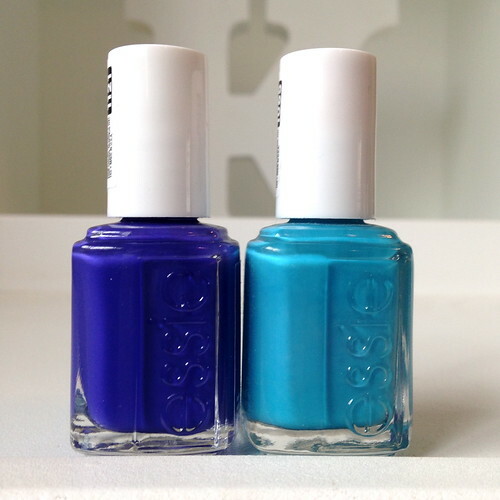 I knew she also had Rock the Boat from Essie's Summer 2013 collection. She loved the colour but wished it had a better formula, one she could apply in less than three coats. Salt Water Happy seemed like the perfect fit, so both those polishes went in my nailpolishcanada.com cart. I needed a couple more for free shipping so Pansy and Fiesta jumped in my cart as well. They were recent discoveries of mine and I couldn't make up my mind between the two pinks, so I decided to get both. 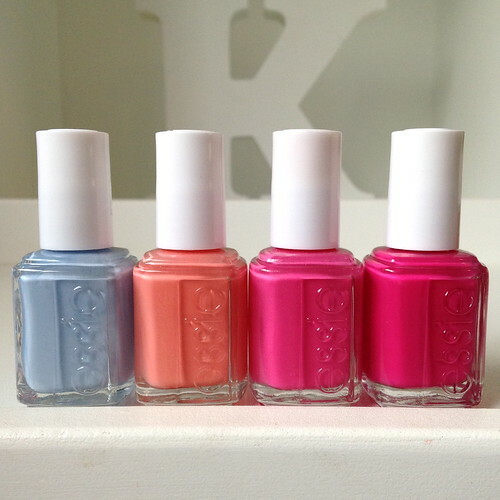 Soon after these arrived, Essie Canada sent me the Summer 2015 Collection in the mail. Since I already owned them, I thought it would make a great gift for Bree. And I was right. She was stoked about Peach Side Babe and about Salt Water Happy being a better formula (and all the other great polishes that came in that collection). We flew out to Winnipeg last week to visit with her and her hubby, so I also got to compare Rock the Boat and Salt Water Happy myself. Check out the comparison here. I'm also in love with both Pansy and Fiesta. They are such great summer pinks. 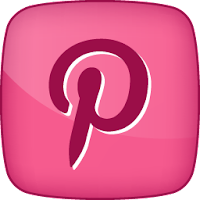 I plan to do a hot pink comparison post soon! This dark and brooding burgundy is not a typical Spring/Summer colour for me, but I wear polishes like this ALLLLL Fall and Winter. When I was in Winnipeg, Bree and I had a girls night and painted nails. When I dug into her polish collection I found this one. It was an Essie I had never tried before, so it immediately went on my nails. I loved it so much I wore it the entire week we were in Winnipeg (which says a lot!). Bree ended up giving me the bottle. Thanks Bree! Check out my review with pics here. Of course Bree and I did some shopping while in Winnipeg (hello Sephora!). We scoped out Winner's on our way to the airport and I got lucky and found these babies for between $4-5 each. I can never turn down an Essie on sale! Winner's is similar to TJ Maxx and Marshall's in the U.S. I think. Good to Go - This is my favourite top coat ever. Even though I bought a bottle less than 3 months ago I polish my nails so much that it's more than half gone. This top coat isn't thick and goopy, dries really shiny, smooths out imperfections and dries super fast. I can't complete a manicure without it. Fiji - I borrowed a bottle of Fiji from my friend Austrian and really wasn't impressed with the formula. I picked this up in the hopes that maybe hers was just a bad bottle and that Fiji's formula was actually better than that? High hopes I think, but I also reasoned that it's a really popular polish and it wouldn't be if the formula sucked so badly. And I'm glad I got it, because it was much better than Austrian's bottle! Twin Sweater Set - I know I've said it before, but I'm a sucker for reds. I have a million and yet...and yet I acquire more. I should be able to do a good red comparison this fall! Skirting the Issue - To be honest I know nothing about this polish. It's a good Fall colour, so I'll be trying it out then. Ah these two! I think I'm most excited about these ones. My neon picks for this Summer. All Access Pass - This was my one pick from the 2015 Neon Collection. I would have gotten more, but as you can see I've gone overboard on nail polish these past few months! I also had a good Sephora makeup and clothing haul with Bree so I had to reign in my nail polish spending. Out of all the pics I've seen, this violet indigo was my fave. I'm Addicted - This bright ultramarine blue is also a neon, but from the 2014 collection. I couldn't stop thinking about it after I did my aqua comparison. I had borrowed the bottle from Austrian and decided I needed to add it to my collection. It's brighter than this year's Make Some Noise, so I chose this neon blue instead. Well, that should be it for polish hauls for awhile! 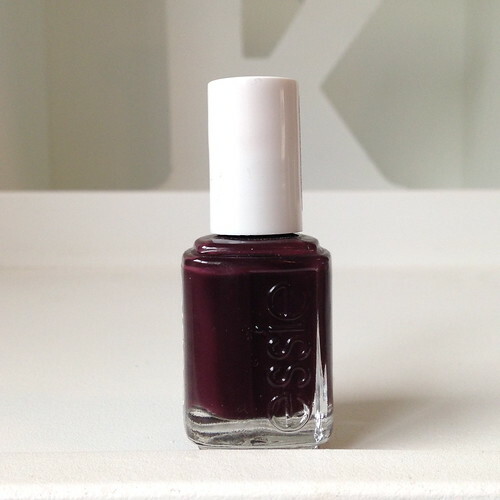 Have you picked up any good Essie's lately? 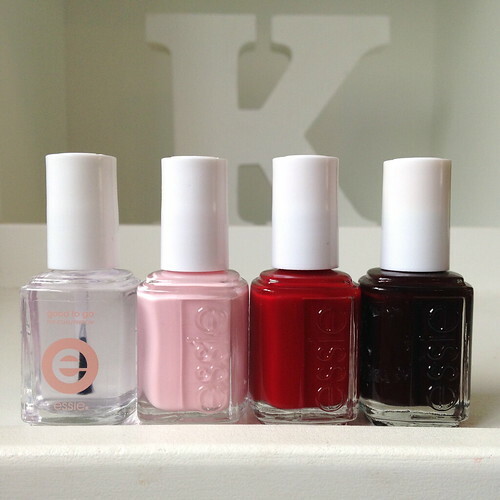 how do you get essie to send you polishes?